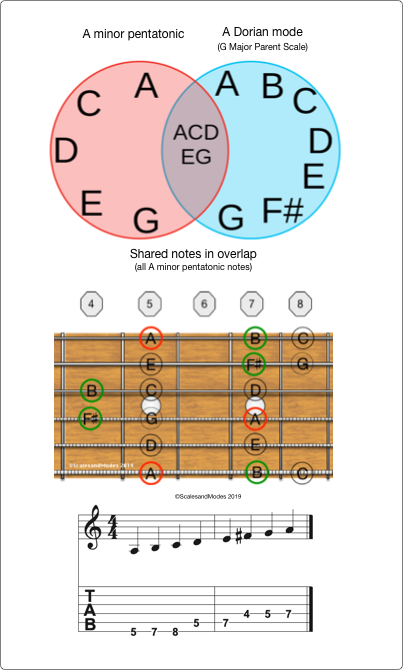 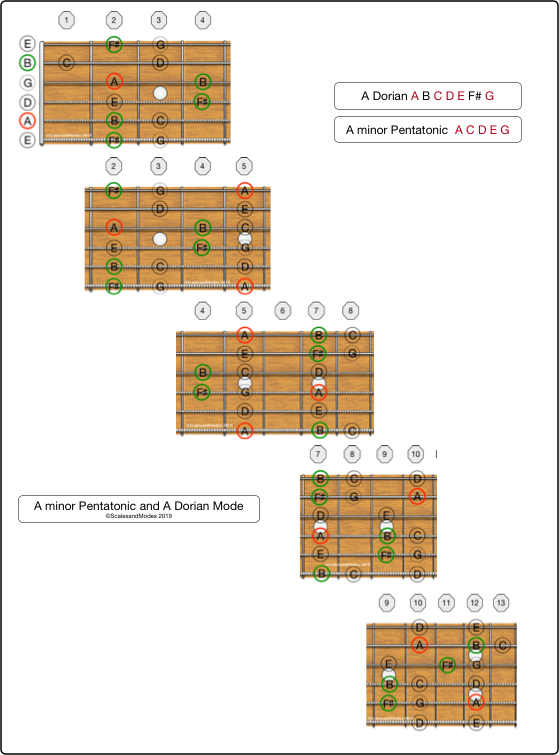 The A minor Pentatonic scale and the A Dorian mode meld well as both employ a flat 3rd compared to the A Major Scale. 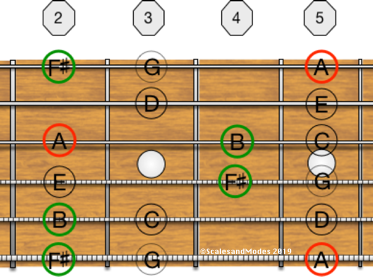 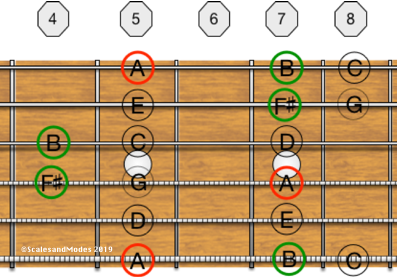 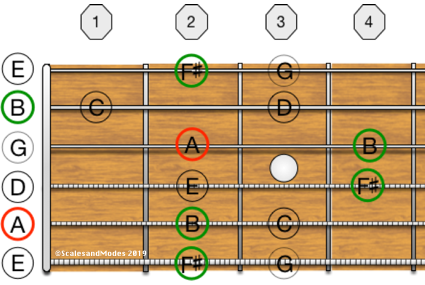 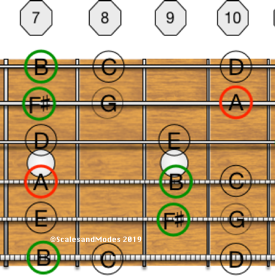 In the diagrams below the notes of the A Dorian mode that are not part of the A minor Pentatonic are outlined in green for easy identification. 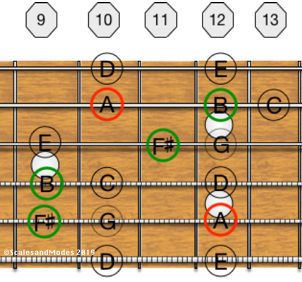 They are shown in CAGED shapes as found on the fretboard.